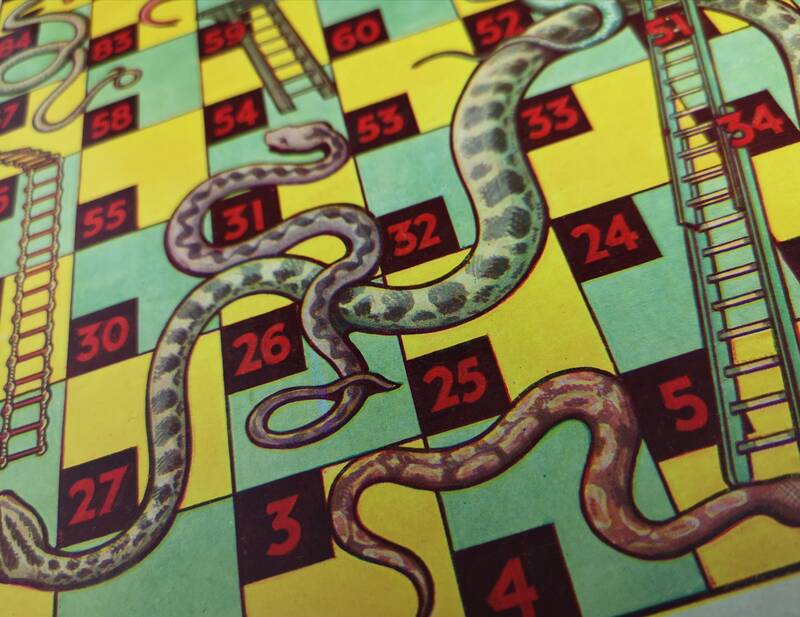 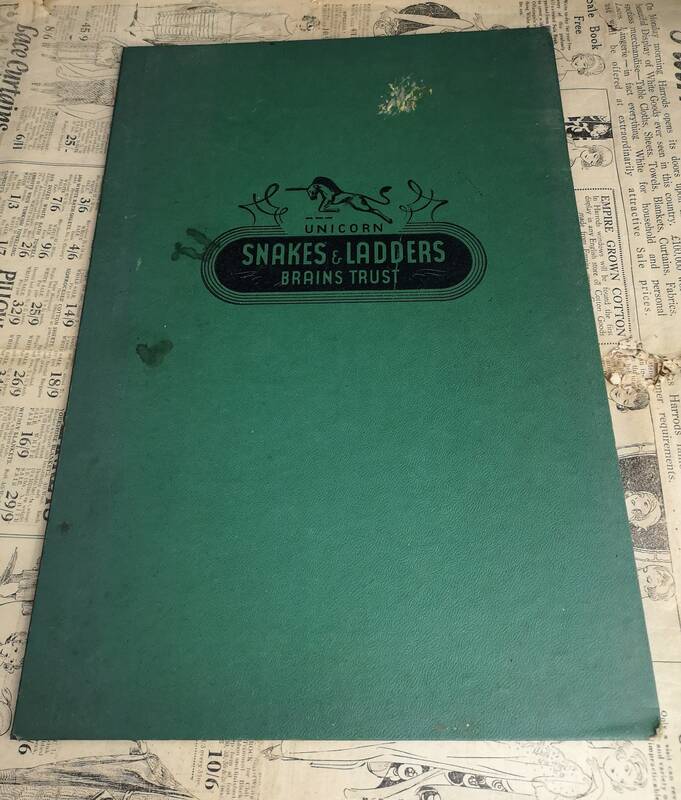 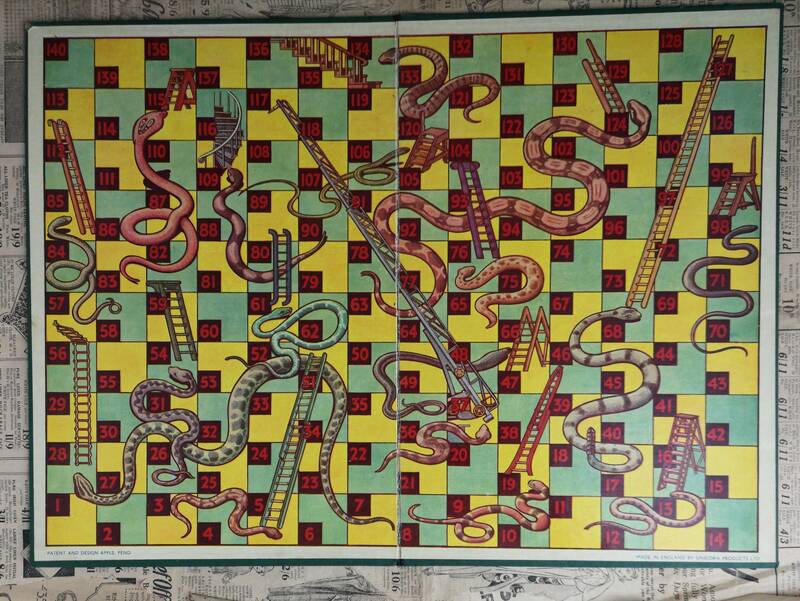 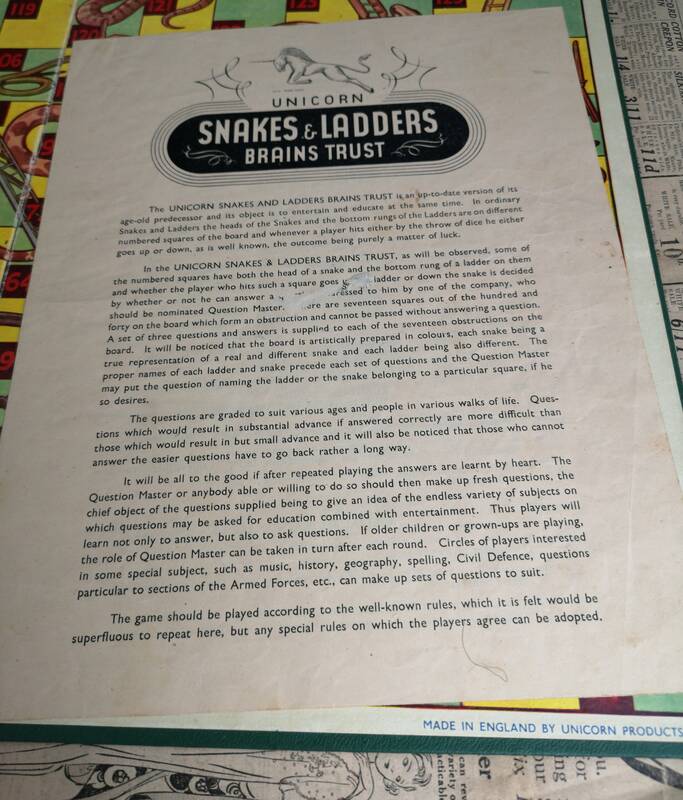 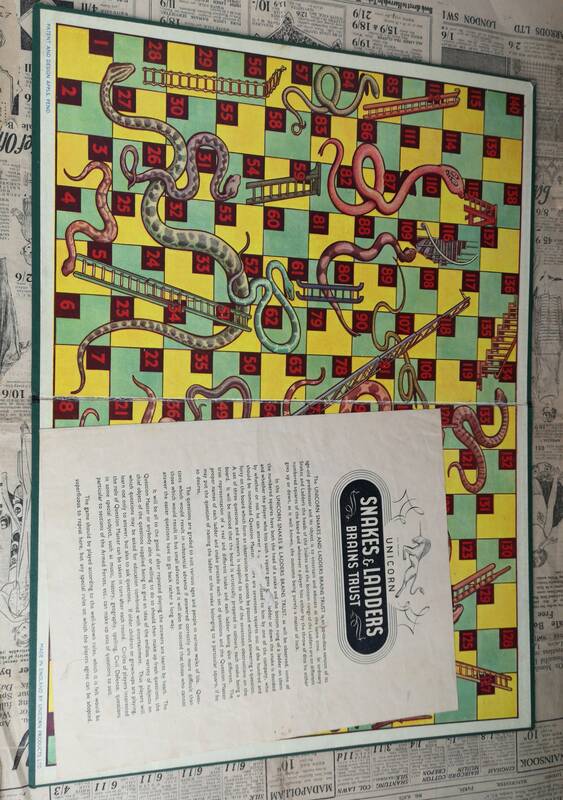 A lovely vintage 50's snakes and ladders board with the original instructions on how to play. 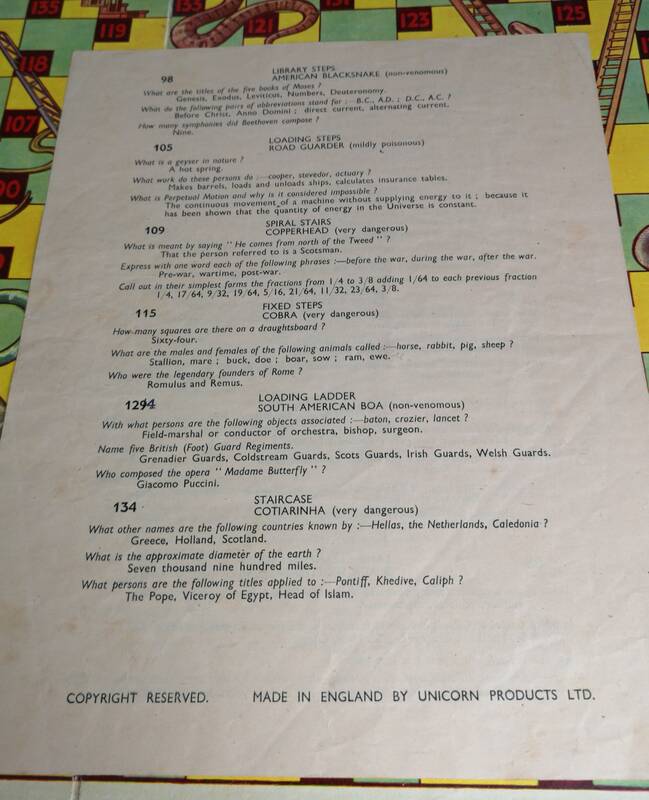 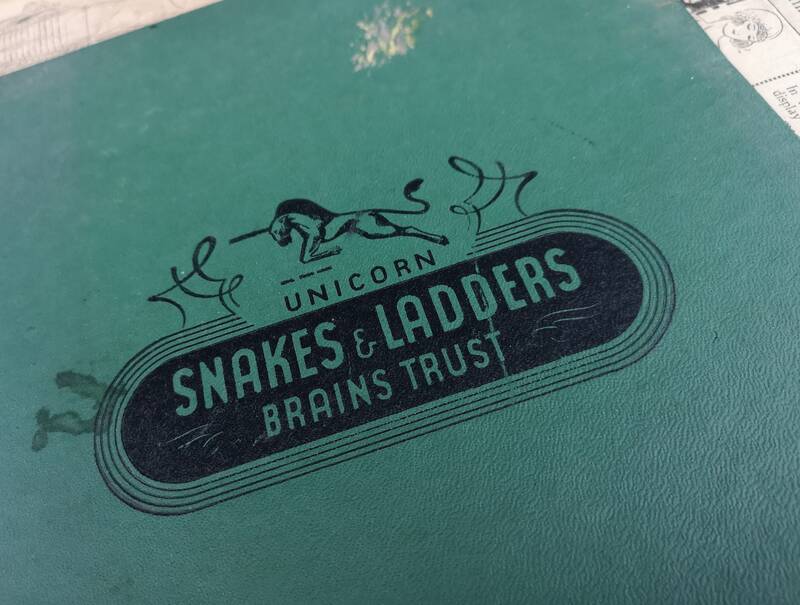 A large board with a green cloth backing, made in England, Unicorn Brand. 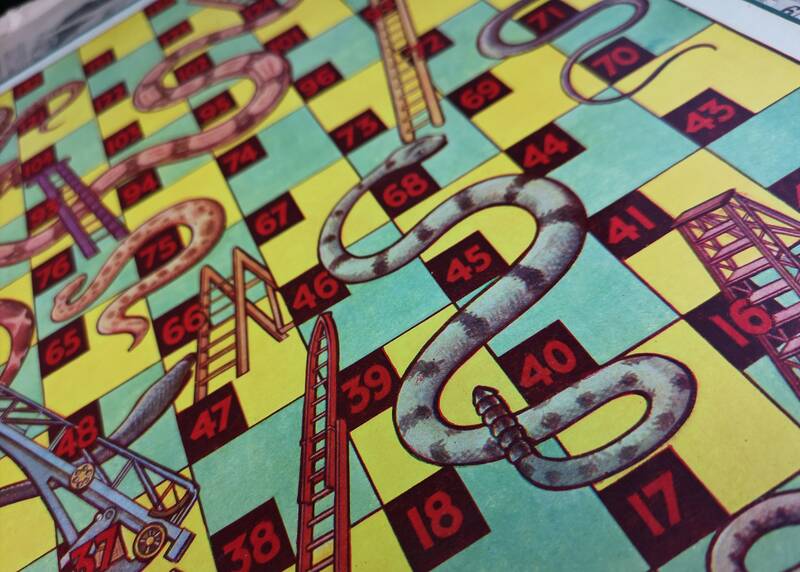 It has a nice colourful playing surface and is easy to navigate. 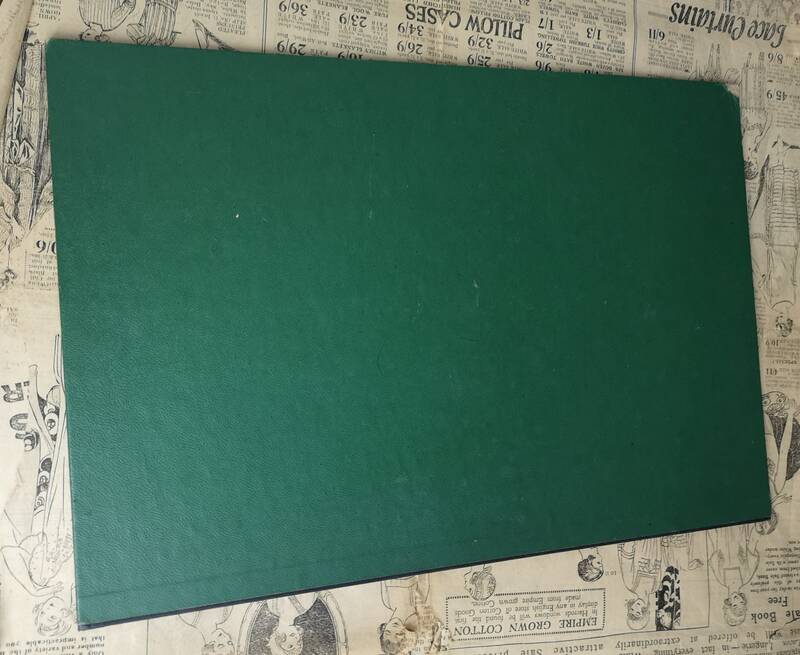 The backing shows some wear and tear but the playing surface is nice, no dice or counters though these could easily be replaced. 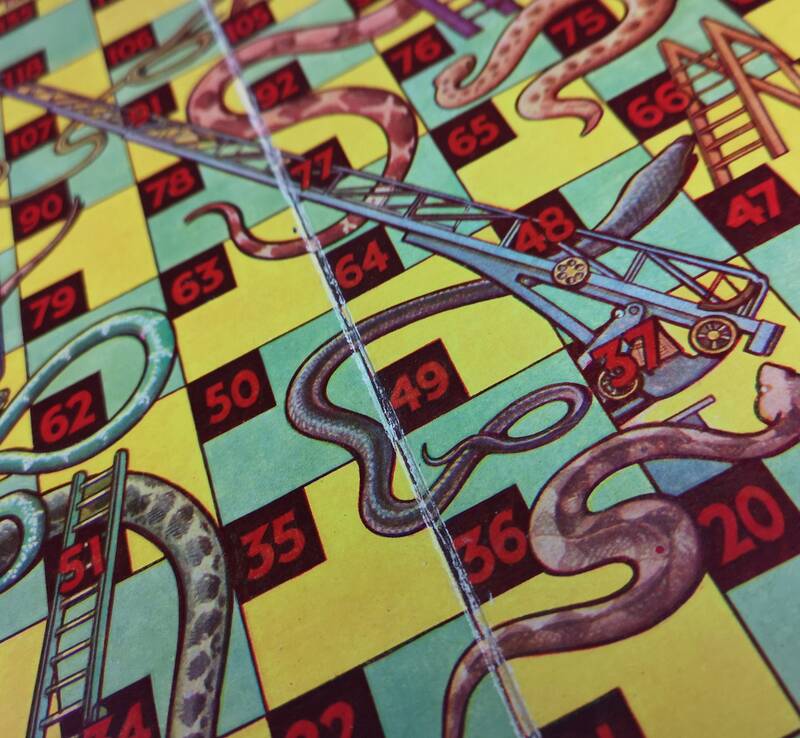 Overall a nice vintage games board, one for all the family.